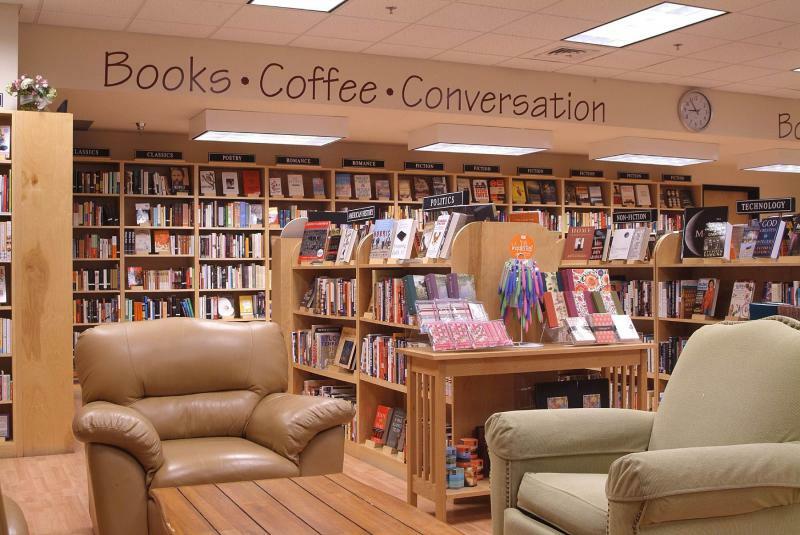 Opened by Scott & Joelle Beck in 2005, this locally owned, award winning bookshop for all ages is open seven days a week. Browse our extensive collection of all subjects and enjoy a first-class espresso and coffee bar while using our wi-fi. Looking for that hard to find title; let us print it on demand. Our kids' area provides countless hours of enjoyment for the young at heart. Open seven days a week! Hours: Monday-Friday 9am-5:30pm, Saturday 9am-5pm, Sunday 10am-4pm.